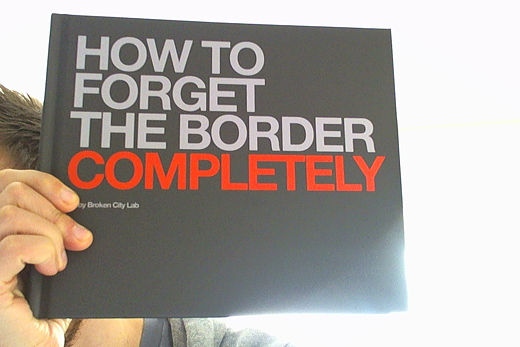 Remember a couple of weeks ago, we received some copies of our How to Forget the Border Completely book? Well, there were a couple of print issues that have now been resolved, so if you’ve been waiting to get your hands on a copy, now’s the time! 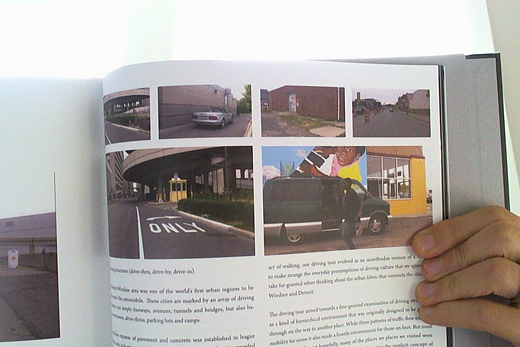 HFBC was an 8-month research project that looked at the ways in which we might actually be able to forget about the border between Windsor and Detroit. 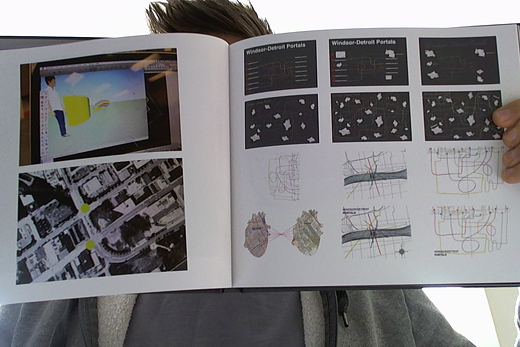 Whether through small-scale micro-grants or large-scale infrastructure proposals, we imagined these two cities as one big community across 150 pages. 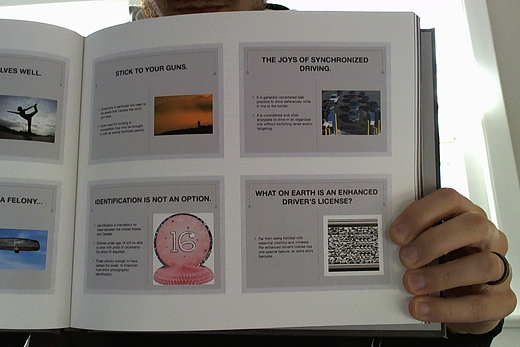 You can purchase the book through Blurb. It should arrive within a couple weeks tops. We’re going to get around to offering a soft cover version too, soon. 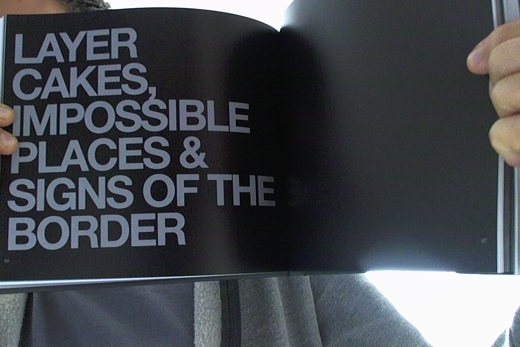 In the meantime, you can also read through a PDF of the entire book (p.s. it’s 72mb). 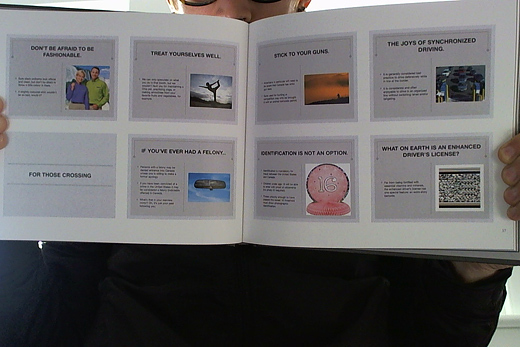 It’s probably not as fun as having a book in your hands, but the content is there for your perusal. This book is actually phase 1 of a larger HFBC project — think airplanes, scale models, and a few other things that will take a lot longer to complete than we ever anticipated. 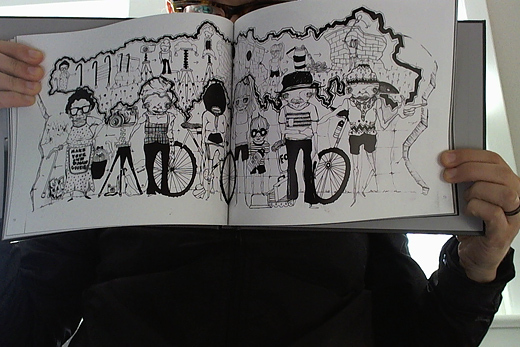 For now though, we’re just really happy to see this in print! 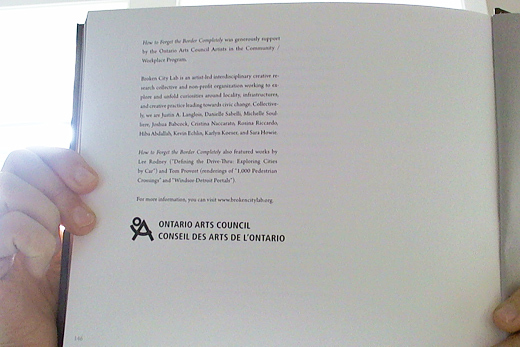 How to Forget the Border Completely is generously supported by the Ontario Arts Council. I’m so proud of this publication. I only had a minimal part, but it’s great. I cannot put this thing down! It’s so much fun to look through.